Austin ISD embraces sustainability as a driving force behind its mission to provide a comprehensive educational experience that is high quality, challenging, and inspires students to make a positive contribution to society. 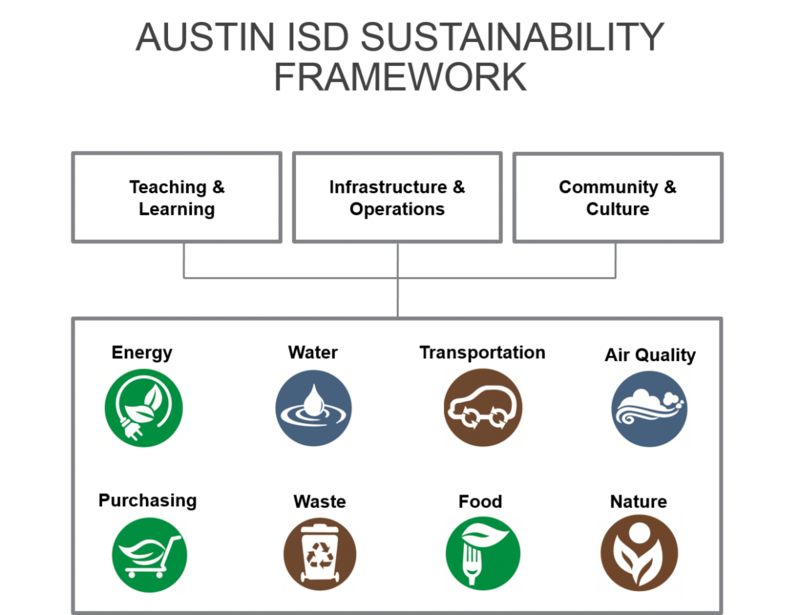 Austin ISD’s sustainability program seeks to build a culture of environmental awareness and action at Austin ISD schools and the community we serve. Guided by the Environmental Stewardship Advisory Committee, the district is working to balance the needs of the environment; the diverse community we serve; and available financial resources across the three foundational pillars and eight sustainability action areas shown below.